Join us for the First Parish Poetry Jam on Sunday, August 30th. Each year we conclude the summer with this creative service. Sharing poetry that has meaning for us is a way to connect with each other, explore art and spirituality, and have fun as summer draws to a close! This year the service will have a new twist as we focus on poems written by women – international poets, poems by indigenous women, historical poets, and contemporary women. 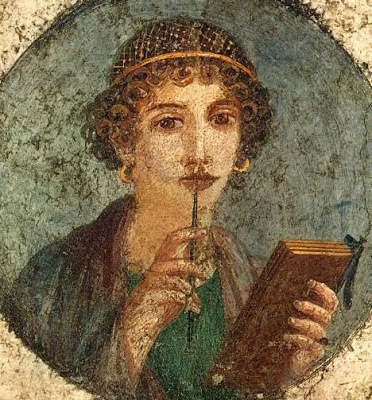 Did you know that the one of the first woman poet whose name is still known was Enheduanna, who wrote poetry in Sumeria around 2300 BCE. If you’re not quite up to speed on 3rd millennium BCE poets, not to worry – there are many other choices. Have some fun thinking about women poets though history and bring one or two poems to share during the service. Join us at 9:30 for nibbles in the air-conditioned Commons; the service will begin at 10:00.